In memory of Magnus. Photo: Robin Plaskoff Horton. Every Fourth of July for years my two dachshunds, Zoë and Magnus, hid under the bed because they were scared to death of fireworks. Too bad Ford’s prototype for its noise-canceling Quiet Kennel wasn’t available for my pups back then. 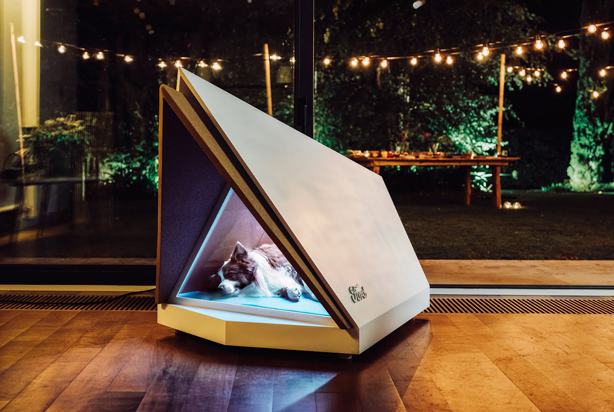 Quiet Kennel uses a noise-canceling technology similar to the type found in cars and headphones. When microphones inside the dog house detect the sound of the fireworks, a built-in audio system emits opposing sound waves that cancel out the noise completely or reduce it significantly. 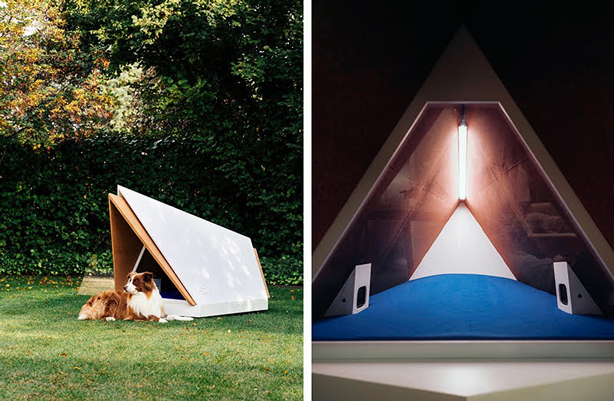 The dog house is constructed of high-density cork for sound proofing and, along with the noise-canceling technology, is designed to keep Rover calm. For now, Quiet Kennel is just a prototype, the first in a series of Ford initiatives called “Interventions” that apply automotive technology for solutions to everyday problems. Unless otherwise noted, photos via Ford. H/T Designboom.